Let’s be honest: there are some smells most of us can do without, right? You are probably thinking of them right now. But other smells give us such pleasure. There is nothing better than the smell of roses in the spring, your first cup of coffee in the morning to get you going, or a certain smell that brings back a wonderful memory from the past. That’s why patients worry that they will lose that important sense after a nose job. Finding the best nose job doctor is a good start. Although the answer to the above question is no, it is also yes. When a patient has rhinoplasty or a nose job, there is a temporary loss of smell that accompanies the surgery. A common situation and usually dissipates after about 3-6 weeks which is caused by the swelling that follows a nose job. 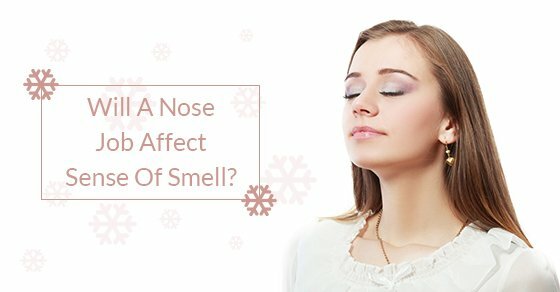 Once the swelling goes down and you heal, your sense of smell returns to normal. On the other hand, when patients have surgery for a deviated septum, they may find their sense of smell enhances and heightens. Remember the last time you had a really bad head cold? You were so stuffed up and you couldn’t smell anything, everything you tried to eat or drink had no taste. Our sense of smell and taste are related. The hair cells in our nose are so-called smell receptors. They are located inside the top of our nose and nasal airway. After a nose job, both senses are compromised, so expect your sense of taste to be affected for a short time as well. They will both return when the healing process is complete. Of course there can be rare exceptions and problems during rhinoplasty surgery. So don’t underestimate the importance of choosing the right nose job surgeon. There are many plastic surgeons out there, but patients should spend time and exercise due diligence to look for only the best.. Try to find a rhinoplasty surgeon with an excellent reputation. Look for someone who specializes in nose job surgery and does not offer nose job cost discounts. Review before and after case studies and note whether you see nondescript “cookie cutter” noses. Look at their training, their years in practice and whether they have excellent reviews. Once you do, let us know when you are ready to schedule a consultation with Dr. Oakley Smith.